In view of the tremendous progress achieved in the field of ocean remote sensing during 1980s and the anticipated developments in the field during 1990s, the Pacific Ocean Remote Sensing Conference (PORSEC) was constituted during the International Space Year in 1990, through the initiative of scientists from the Pacific Rim countries. It was to focus attention on the applications of satellite and other forms of remote sensing in the Pacific Ocean and the coastal zone of the Pacific Rim. PORSEC is hosted once in every two years by different countries of the Pacific Rim. The series of conferences started with the first PORSEC held in Okinawa, Japan. 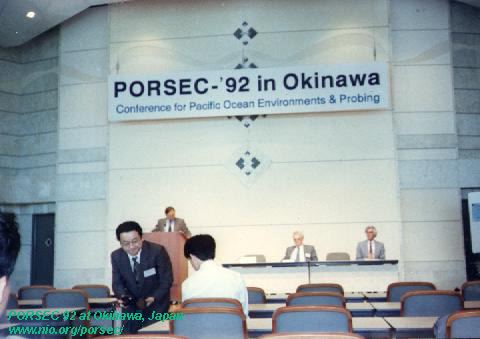 PORSEC ' 92 held in Okinawa received nearly 200 technical presentations and 120 poster papers on topics as "diverse as ocean radar, satellite altimetry, polar oceanography, data processing and coastal management ". An International workshop on ocean colour was also held simultaneously with the conference. The second conference was held at Melbourne, Australia in March 1994. Eighty three technical papers were received during the conference and they were presented during 13 sessions, each dealing with different research themes. PORSEC ' 94 was jointly organised with the 7th Australian Remote Sensing Conference (7 ARSC), Commission 5 of International Society of Photogrammetry and Remote Sensing, and the Second Australian Photogrammetry Conference, which provided a rare opportunity for participants of PORSEC for cross interaction between scientists, engineers and planners dealing with diverse issues pertaining to ocean and coastal zone. 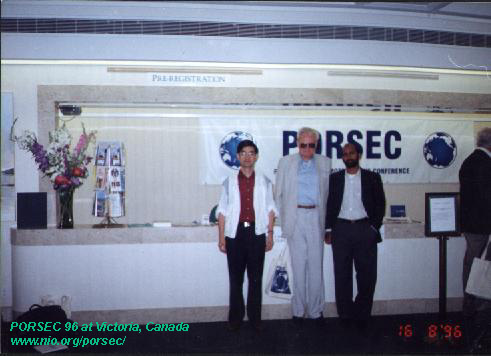 PORSEC ' 96 at Victoria, Canada, had drawn about 100 valuable technical papers on different aspects of remote sensing techniques and their applications. 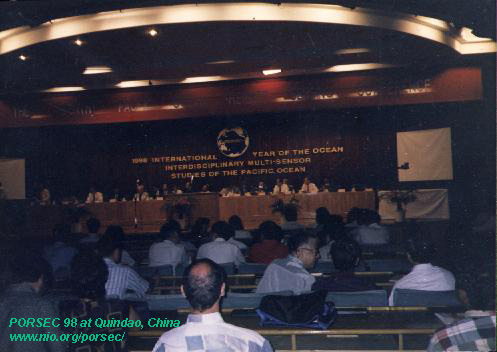 PORSEC ' 98 at Quindao, China, was the 4th conference of the series. Many technical papers on remote sensing applications and other aspects on ocean sciences were presented. During PORSEC 98, it was decided to host PORSEC 2000 at the National Institute of Oceanography (NIO), Goa, India. Last Updated on September 11, 1999.